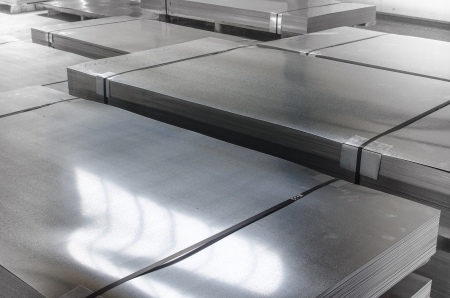 What Are the Benefits of Aluminum Sheet Metal? Are you looking for the right material to use for fabrication purposes? There will be no shortage of options. You can use everything from plastic to steel for all your fabrication needs. However, aluminum sheet metal might very well be your best option. Just take a look at some of the benefits that you’ll enjoy when you use it. The first thing you’ll notice about aluminum sheet metal is that it’s extremely resistant to any wear and tear that you might put on it. It can withstand very high temperatures without a problem. It can also stand up to corrosive chemicals, friction, and more. And in general, it’ll last you for a lot longer than most other materials will when it’s installed properly. If you look up in the rafters at any commercial or industrial facility, you’ll more than likely find aluminum sheet metal hanging there. That’s because aluminum sheet metal is very light compared to most other alloys and metals. It makes it easy to put into place, and there isn’t a threat of it falling down due to its weight at any point. Despite all the benefits that you’ll get to enjoy when you utilize aluminum sheet metal, you won’t have to pay an arm and a leg for it. It’s very affordably priced when compared to other materials and won’t need to be replaced anytime soon. That makes it a slam dunk for many companies looking for materials to use during fabrication. Do you want to start enjoying the benefits of aluminum sheet metal for yourself? You can order aluminum in sheet form from Eagle Alloys in whatever quantity you want. Call us at 800-237-9012 today for more information on obtaining it for your company.